In the new school year 2012-2013, Hangzhou Freinet Education Centre welcome seven new students and three new teachers: Miss Dong, Chinese kindergarten teacher; Christy, English and arts teacher; and Paskal ,French teacher mother tongue. We also welcome two very special students: Feifei and Meimei, who are the two mascots of the school. They share the lives of students, listen to their secrets and attend their workshops. Une formation dispensée par Olivier Francomme aura lieu du Lundi 21 Juillet au Vendredi 15 Août 2014 à Hangzhou en Chine. 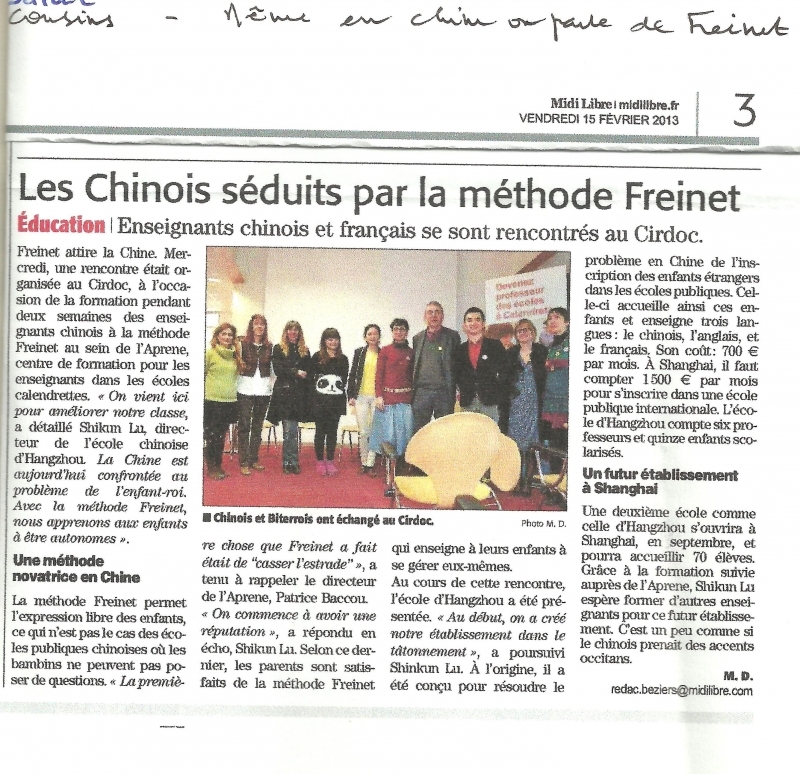 Suite au travail d'Olivier Francomme en Chine.